Manually map-meshing a plate with a hole is this kind of knowledge. If this is too basic for you, then you can pass this video, that’s okay… but I made the promise to create videos for all levels of FEA students and I intend to respect it. What type of meshing have you some difficulties to create? Let me know and I may explain about it in the next post. Just got a video from Stefan E. who told me there was a faster way to do that in midas NFX! Thanks for the video. Basic knowledge, maybe, but a nice video as a reminder for not to take automatic meshing for granted or correct. A question: is it possible, using MidasNFX, to smoothen the mesh? The elements in the extreme corners of the patches now have quite a large slenderness? Stefan E’s method already gives a smoother mesh; maybe that’s the solution. I missed that typing my previous reply. But the question still remains: how to smoothen a mesh in MidasNFX? Still interested in your reaction. Hey I have a question regarding continuity…. We all know that the shape functions of order one i.e. linear shape functions are known to possess C0 continuity… How about the higher order elements… As far as I know only two types of elements exists in FEM with regard to continuity… C0 and C1…. C1 are plate and shell elements where continuity in slope is also required…. Higher order elements are not always better. Do some reading on extrapolation of results at nodes. Hi ! Thanks but what is the real impact on results? Work on shells meshing? Maybe it’s better for part which contains lot of holes? Well Julien, better mesh means, of course, more accurate results. The mesh has to be good in areas where stresses are changing fast, otherwise, the mesh cannot capture the real behavior of the model you are trying to simulate. For all practical purposes, creating a mapped mesh for real geometries is quite unlikely. What is the impact of the automatically created mesh on the results? Please run and share with us the results as a comparison. With all things considered (other assumptions compared to reality), I may say that the effect of the automated mesh is insignificant when compared to the mapped mesh. The action is all happening around the holes, so in my opinion, the automated mesh had created nice uniform elements around the holes. Now perhaps in-between the holes there could be better formed elements shapes, but that could possibly be fixed with some quick meshing controls around the holes. In my opinion, the automated mesh is the better way to go; rather than be a master mesher, I would rather be considered a master engineer. The real art of engineering when applied to the FEM lies with the user’s ability to correctly interpret the real-world conditions in defining the boundary conditions and the ability to interpret the results correctly to determine whether they would match what happens physically. Meshing is just a tool as a means to those ends. Yes, it is an input/assumption like any other, so I would like to argue, should we put more emphasis on this rather than, for example, what the actual loading conditions are? I’ll tend to say that proper boundary conditions are indeed more important than a beautiful mesh, but I also want to say that both are important. 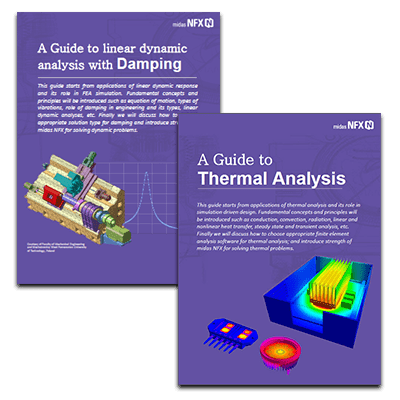 FEA is a system in which all parts interact together. Even if one part is more important than another, it doesn’t mean that a less important part has less impact in some other more specific circumstances. I think that the worst thing to do is to place some things into precise categories and to consider that the assumptions we made for those categories are always valid. Every model is different and even if for a simplistic model such as the one presented, automeshing would give almost the same result (to be verified though), it doesn’t mean that this will remain true for every models. So, my purpose here is more to train about the best practices available because they may come handy sometimes. But definitely, engineering is about testing so if automesh performs faster and better in some cases and you have some proofs to advance, then of course you should choose it over manual meshing! Nice video, but the mesh in this case looks not so good. I recommended divide the face into 8 parts with step of 45 deg. In this case the elements quality is much better. Unfortunately I can’t leave a screens here. Keep the focus away from the software. The issue is to have suitable elements to capture the physical response in locations of interest and to suitably model the response of the entire model. That takes more than automated meshing techniques. I personally find myself examined the element formulation to help decide how to mesh (geometric element limitations). You should tire kick the mesh regardless of whether it was automated or not. Totally agree with you here Boyd :) Thanks for taking the time to write about your personal experience, it is always helpful to have experienced engineers telling what they think! Is that possible to do in Abaqus? Do you know about shell element orientation? 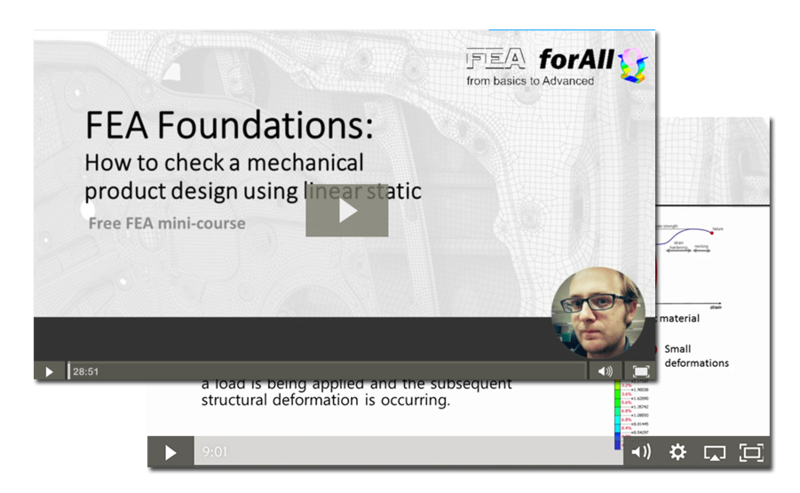 ​Join my Free FEA foundation course !